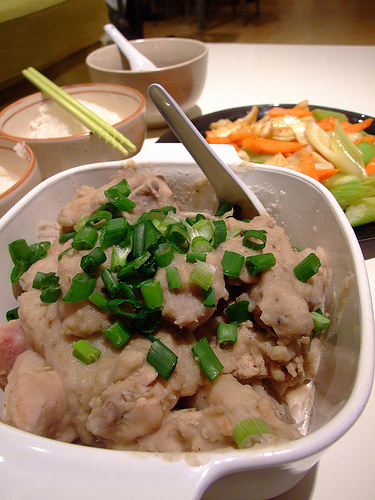 Cut taro, chicken, and scallion into pieces (approx. 1"). Coat chicken evenly with sauce ingredients and let sit for 25 minutes. Steam for 20 minutes at high heat.